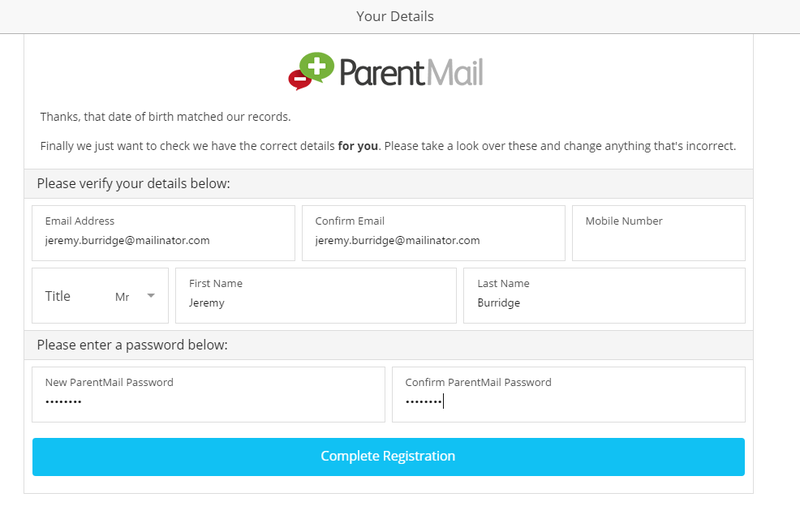 Registering your ParentMail account can be done in minutes! If you have received this email click ‘Register’. If you haven’t received either email, please contact the school and ask them to resend the registration. Please note, the email could also be hiding in your junk folder, so please log in directly to your inbox rather than using a supporting APP, so that you can check all possible folders. If you are registering, select “I don’t have a ParentMail PMX account”. Once you have selected this option, you will need to enter the date of birth for your child. Simply type in the DOB, or use the arrow on the far right to select from the calendar. You will now need to check that your details are correct – if not, you can simply type over the information we have for you. You will then need to create your password. Once done, simply select ‘Complete Registration’. Success! You will now receive messages for all your child/ren at this school. 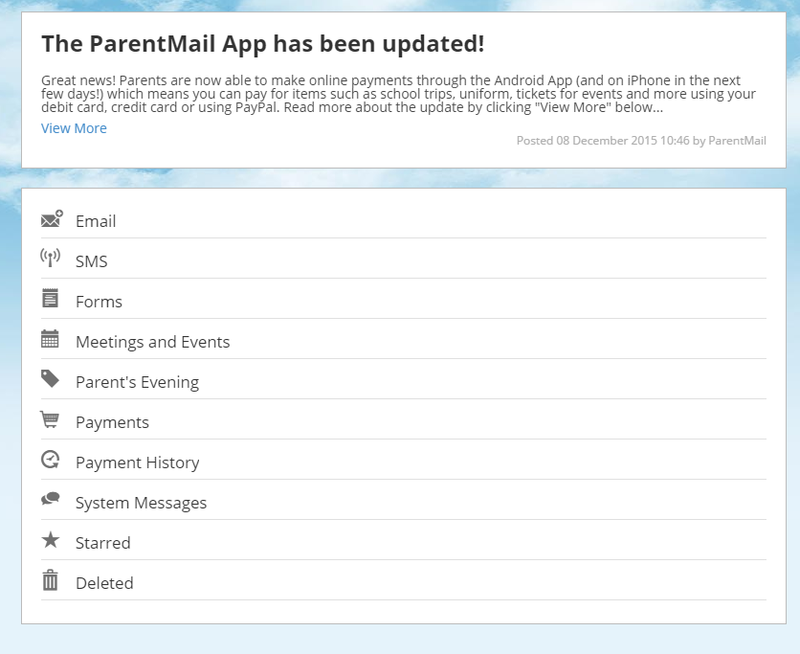 Click ‘Let’s Go’ to visit your ParentMail feed – and don’t forget to download the free mobile App so that you can pick up messages on the go! Success! You will now receive messages for all your child/ren at this school. Click ‘Let’s Go’ to visit your ParentMail feed – and don’t forget to download the free mobile App so that you can pick up messages on the go. If you have an iPhone or Android device we recommend you download the free parent App to pick up school messages instantly!